The corner continues to grow for Sony and the Playstation 4 as more and more developers are throwing their hats in the ring for support of the next generation console. The latest to do so is developer Digital Extremes, a company who has 20 years of success with such titles under their belt as Unreal, Dark Sector, and The Darkness II. 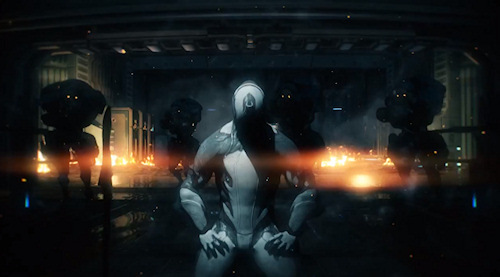 They also released a very cool free-to-play game recently for the PC called Warframe. a cooperative action/rpg hybrid, that plays like a dream, will be making it's way to the Playstation 4. Perhaps the best news is that it will be a launch title for the console. 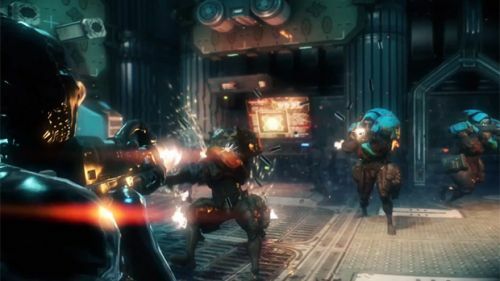 IGN recently talked to Steve Sinclair of Digital Extremes, who helped describe the experience that gamers have had with the PC version of Warframe. He says many gamers harken back to their days with Phantasy Star Online when thinking of Warframe.. Sinclair describes it as “Mass Effect meets Ninja Gaiden,” what with its emphasis on space and… well… ninjas. “It’s a big, messy space ninja game," There is also a very big emphasis on cooperation and working together. In fact, there are no competitive modes to be found in the game, and the developers do not plan on adding them. SInclair hinted that the touchpad and social button for the Playstation 4 will play a special role in the PS4 version of Warframe. It will likely be a PS4 and console exclusive, and will eventually come with a companion application for both iOS and Android. More information will be released as it becomes available.